Our Gilded Stripes wrapping paper is a great wrapping paper no matter the occasion. 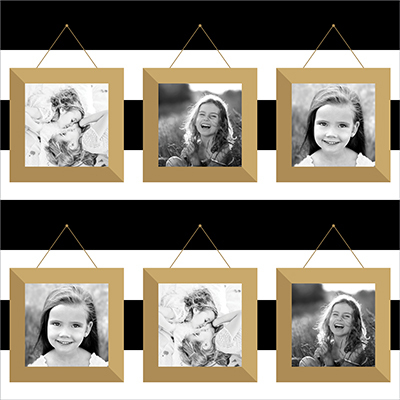 With a background of white and black stripes, it features 6 images bordered with gold frames. This wrapping paper is elegant and classy for any gift-giving party!